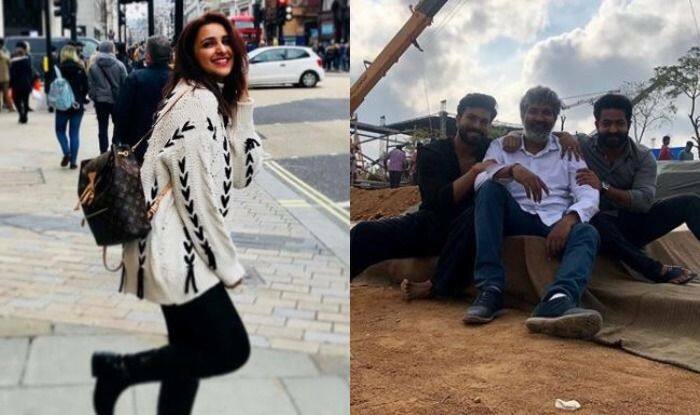 Parineeti Chopra Demands a Huge Paycheck to Feature With Ram Charan And Jr NTR in SS Rajamouli’s RRR? Parineeti will next be seen with Akshay Kumar in Kesari. Filmmaker SS Rajamouli’s RRR featuring actors Jr NTR and Ram Charan is into the news for reasons more than one. The reunion of the two stars is itself a huge thing for their fans and along with it; this is Rajamouli’s new project after Baahubali success. Thus, expectations are high from this one. Speculations regarding the female lead have been rife for quite some time. Many names popped up for the role and according to the latest report, the makers have approached actress Parineeti Chopra. It is being said that she has agreed to be in the film and has also demanded a huge remuneration. If a report in India Today is anything to go by, the makers of RRR are in talks with the actress regarding her fees and are also planning to lock her as the female lead. An official confirmation on the same is still awaited. RRR is set in the backdrop of 1920 and is being made on a whopping budget of Rs 300 crore. The makers have approached International fitness trainer Lloyd Stevens to train the lead actors of the movie. Just like Baahubali, RRR will be also be released in multiple languages. If Parineeti gets locked for the project then it will be interesting to see her working with Jr NTR and Ram Charan. Well, we have to wait a little longer for the announcement. On a related note, Parineeti was last seen in Arjun Kapoor starrer Namaste England. The film was the sequel to Namastey London. It couldn’t do wonders at the box office. Parineeti has also completed the shooting of Akshay Kumar’s Kesari. The film is all set to hit the screens on March 21. Her other movie, Sandeep Aur Pinky Faraar will be also releasing this year.